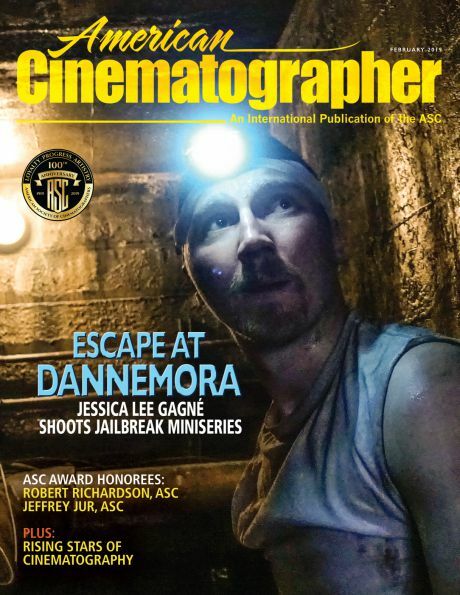 This post and my next one complement my article about Sicario, directed by Denis Villeneuve with cinematography by Roger Deakins, ASC, BSC, in the October issue of American Cinematographer. This interview is with Villeneuve. 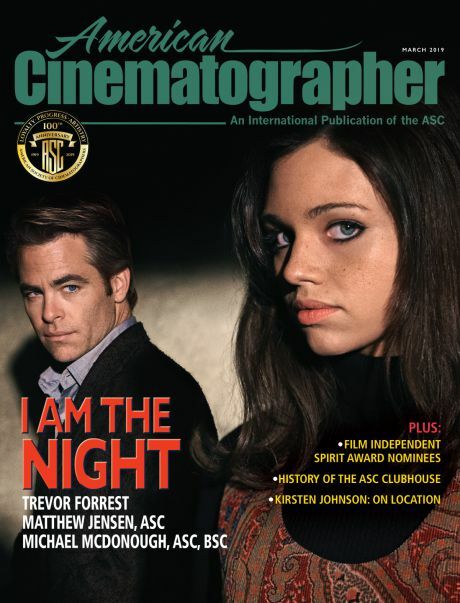 The following post features an interview with Deakins. Director Denis Villeneuve at the Cannes Festival press conference for Sicario. Denis Villeneuve is a talented French-Canadian director who has made seven films to date. He won Canadian Jutra and Genie awards for the French-language films Maelström, Polytechnique and Incendies (the breakout film that gave him international fame). Denis has since directed three striking English-language films: Prisoners, Enemy and Sicario, which was premiered in May in Official Competition at the Cannes Film Festival. Denis has an ability to blend different genres, and his films offer a rich mix of art, politics, psychology and suspense. He is currently finishing Story of Your Life in Montreal. Sicario was Denis' second collaboration with Deakins, after Prisoners. The two will team again next year to shoot a sequel to Ridley Scott's classic science-fiction film Blade Runner, which was shot by the late, great Jordan Cronenweth, ASC. Sicario is an action movie that raises political and ethical issues. The story follows Kate (Emily Blunt), an idealistic FBI agent who is asked to join a clandestine team of operatives going after a Mexican drug lord. Kate joins her new boss, Matt (Josh Brolin), and a shadowy agent named Alejandro (Benicio del Toro) on a dangerous mission in Juárez that escalates into a bloody firefight. Kate gradually discovers that her new teammates are willing to break the rules to achieve their goals, and she must decide whether or not to blow the whistle. This is your second film with Roger Deakins. Villeneuve: It's pretty rare for me, but at the beginning, I must say I was a little intimidated by Roger. So we had to learn to work together on Prisoners. And then I wanted to pursue our relationship, and go further visually. Sicario was a film I really had to make with Roger; I needed someone with his mastery of the frame and space, and I wanted to go into the night with him. I don't know if I would have done the film without Roger. It was important that he want to do the project also. Villeneuve, Deakins and crew member on set of Sicario. I have to be honest: Roger is much more accomplished than I am. Artistically, he’s a master, and I try to stimulate him as best I can. It’s completely selfish on my part because I learn with every shot — about rhythm, about camera movement, about the dynamics of the frame. I’m always learning with him. Much of the violence in Sicario is hidden or occurs off-camera. Villeneuve: I wanted to have the same approach to violence that I have had in my previous films, which is to seize the point of view of the victims. I wanted to show the brutality of violence, its ugliness, without glorifying it or creating too much of a spectacle. Although the story is about fighting the Mexican drug lords, there are also allusions to waterboarding, and the film seems to ask the question of whether the end justifies the means. Villeneuve: Sicario is not about drug cartels; it’s about how America deals with its enemies. It’s also about how you can sometimes fall into prejudice and clichés without knowing the foreigner across the border, who can be only a few hundred meters away. There is also the theme of a world where the traditional rules have been lost. But I have to stress that the film doesn’t offer any answers; it only raises questions. In the first 20 minutes of Sicario, there’s a powerful sequence with Emily and her team driving into Juárez. It begins with a striking mixture of aerial landscape shots and car shots on the ground as they cross the border. Villeneuve: To be honest, the helicopter POV was brought by a constraint. We did research and found out that we could photograph the border bridge, but we couldn’t get permission to shoot on the bridge. So, we searched for a way to embrace the geography, to embrace the real space. That’s how we got the idea of the helicopters. I’m not someone who likes helicopter shots. I’m not going to spontaneously propose an aerial shot. Here, I embraced it because it’s justified dramatically. It seemed very natural, it’s a military operation, so the helicopters are there as a means of communication between the guys on the ground and the people in the US. The Border bridge (from trailer). And the helicopter gave me the opportunity to shoot an ultra-wide shot of the bridge, so that the viewer understands the entire geography. I knew the sequence afterwards would be from Kate's point of view in the car, which in the end is the POV of the audience. I wanted to stay in that claustrophobic space as much as possible and only come out when I needed to establish the geography. Kate in the car (from trailer). And you also show the fence between the U.S. and Mexico, an important symbol. Villeneuve: Yes, the helicopter allowed us to include a shot of the fence and to show its relationship to the land in a way we couldn’t do on the ground. U.S.-Mexico border fence (from trailer). Villeneuve: For me, cinema is about creating fiction in reality. And there are always forces that come to oppose you, to create pressure, and you have to work with those forces. At first not having permission to shoot on the border was a nightmare, because we couldn't shoot on one of the central locations of the film, and then we got excited about shooting with a helicopter, but it came from a constraint. Sicario was also very inspired by the nature that surrounded us. There were some things we had no control over which we spontaneously embraced. For example, the sequence towards the end showing different characters drive towards the tunnel was supposed to be shot with a setting sun, and gradually diminishing light. Lightning strikes in evening exterior (from trailer). But we shot during the worst weather period of the year, and every evening there were heavy skies with spectacular electrical storms. I have never seen so many lightning bolts. This wasn't planned, but we embraced it. When we shot the Mexican police car driving towards the horizon, there were two ominous lightning bolts. When that happened, I told myself, 'It's too much, we can't include that'. But at the same time, they happened. How could you refuse the lightning? After the Mexican incursion, there’s an important moment where Kate angrily confronts Matt outside an army base. The entire scene is played in a very wide shot. A lot of filmmakers would have been tempted to go in for close-ups. Villeneuve: That’s a good scene to talk about. I wanted to feel the character’s vulnerability, to feel her at a loss, and sense the weight of the landscape on her. When we shot the scene, we started with that shot, and we planned to go in for closer shots, but I didn’t do a closer shot, I didn’t cover myself. Wide shot of Kate and Matt (from trailer). Villeneuve: When Emily did a rehearsal, there was something very eloquent about her gestures, and I felt the whole scene was in that shot, that there was nothing to add. There was something really vulnerable about her in the wide shot. She’s small in the frame. All these male characters leave the frame, leave her alone in this landscape. It was pretty cinematic. But also, I knew that we would be coming out of the previous sequence with a lot of close-ups on her, and shots from her POV inside the car. Kate's POV in the car (from trailer). In the beginning of my film Incendies, there is a scene in the street with the brother and sister, after they come out of the notary's. I remember I was happy with the wide shot, and then I went closer and did coverage. And each shot was like torture! I kept asking myself why I was doing it. I knew I was wasting my time. And I swore to myself to not be afraid to stay wide the next time I felt I had everything in the wide shot. I'm often like that when I'm shooting, I want to go wider, I try to get farther and farther from the characters. I really love wide shots in cinema, and I find that it’s something that is getting lost because of television culture. Of course, there are also closer shots in the movie, but they are often done with wider lenses. Villeneuve: Using wider lenses up close is something I learned with Roger. When you are that close with a wide lens, it creates an intimacy with the characters, and it creates a sense of depth which I'm learning to use more and more. That may seem paradoxical after what we were just saying! There are some scenes in the film where you do classic shot/reverse shot — "overs" — such as the final confrontation. Villeneuve: I’m not a big fan of overs. It’s not something that pleases me, but sometimes I don’t have the choice because it’s what will make the scene more powerful. In my recent films, my goal has been to attempt to tell the story as soberly and humbly as possible — I would say in as "narrative" a way as possible. Sometimes that means a very classical approach, and I completely assume that. It’s a voyage where I’m learning a lot about narrative. That’s something I like a lot about Roger: he’s not afraid of going classical. Although Roger is an aesthetic master, he is first and foremost a master of narrative. With Roger, the beautiful always comes second, after we’ve seized the best viewpoint to tell the story. The shot has to tell a story before it can be beautiful. Roger often refers to the simple mise-en-scène of Jean-Pierre Melville's Army of Shadows as an inspiration. Villeneuve: Yes, there is something about that kind of simplicity, that classical style, which seduces me. The idea is to make a film that can last over time. You have announced that you will shoot a sequel to Blade Runner with Roger. It’s pretty gutsy to want to make a sequel to such a classic film. And, happily, Roger has enthusiastically accepted to join me in this adventure! 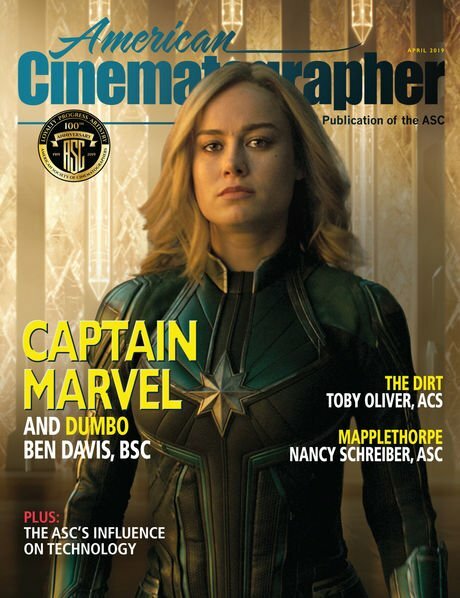 Interview translated from French by Benjamin B.